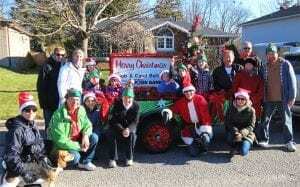 As part of our 31st year of Calendar delivery to the East-End, we are looking forward to our 6th Annual Food Drive in support of the Barrie Food Bank. 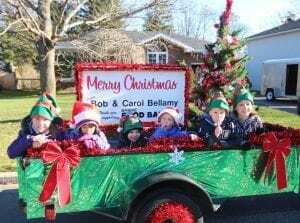 Along with some of our East-End neighbours, we are celebrating the Season and the Spirit of Giving… delivering your Calendars & Candy Canes, collecting your Donations and enjoying Christmas Carols along Strabane, Melrose and cross streets. 2012-16 Donations: 6,604 lbs of food and $9,218. Looking forward to another fun day with lots of donations! Donation Drop Off available at Robinson’s Home Hardware, and Hair In Motion Salon now until Dec 1st, & also at 103 Vancouver St. Fri. Dec 1st, 5-8 pm and Sat Dec 2nd, 9 am – 3 pm.